We’ll feature an extended report on the failure of the government and the Massey coal mining company to protect its workers; also, we’ll continue to follow the journey of a Canadian minister trying to hold the Church accountable for the genocide of the indigenous population of Canada; and we’ll also look at the recent closing of the Nummi-Toyota plant in California. 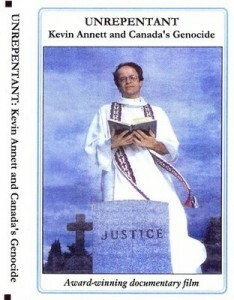 Today on Flashpoints, an encore broadcast of “Unrepentant”, a documentary exposing Canada’s dirty secret about the genocide against Native Peoples. Special correspondent Kevin Pina was in Cite Soleil delivering necessary material and food to thousands of people who are facing starvation in the rainy season; also, we’ll look at an investigation coming out of Canada into how private contractors like Blackwater are capitalizing on the Haiti earthquake; and we’ll feature more excerpts from Kevin Pina’s award-winning documentary, Haiti: We Must Kill the Bandits. We continue our focus on the resistance to expanding mountaintop removal in Appalachia, we’ll speak to Mike Roselle of Climate Ground Zero; also, an in-depth investigation into Canada’s role in the occupation and colonial-privatization of Iraq, Afghanistan and Palestine; ongoing Israeli settler attacks in the occupied West Bank, we’ll have news headlines from Palestine; Community Business with Catherine Austin Fitts; and a commentary by Mumia Abu-Jamal.